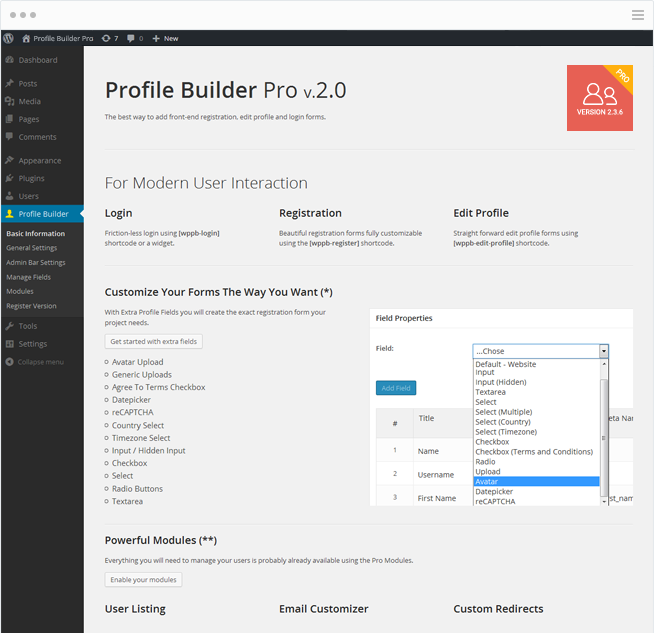 You can use Profile Builder - the Profile Plugin for WordPress. is add the following shortcode: [wppb-edit-profile] . Publish your page and you are done! modifications to licence expiration notifications.